Nir Eyal is Associate Professor of Global Health and Population at the Harvard T. H. Chan School of Public Health. He also teaches Global Health and Health Policy in Harvard’s Faculty of Arts and Sciences, and is affiliated with the University’s Center for Bioethics, EJ Safra Center for Ethics, and Petrie-Flom Center. Ethical questions in health system design (including the ethics of accrediting corporations for improving global health and that of various responses to critical health worker shortages). 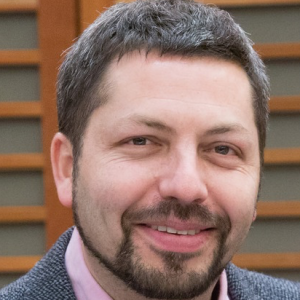 Eyal’s work garnered many awards, including Roskilde U’s Rector Award, the E. J. Safra Fellowship, the Academics Stand Against Poverty Award, the Ehrenreich Prize for the best paper at the International Association of Bioethics 2010 Congress, Cornell U’s Young Scholar Award, the Wingate Award, and St. Hugh’s College Larkinson Scholarship in Politics. He won R01, R56, and R21 awards from the National Institutes of Health, as well as other funding. Prior to joining the Harvard faculty, where his primary appointment was for nine years at the medical school, Eyal was the Harold T. Shapiro Postdoctoral Fellow in Bioethics at the Center for Human Values of Princeton University. Previously, he was Postdoctoral Fellow at the Department of Clinical Bioethics of the National Institutes of Health. He holds a DPhil in Politics from Oxford University, an MA in Philosophy from the Hebrew University of Jerusalem, and a BA in Philosophy and History from Tel-Aviv University.